Huntington’s first Anaerobic Digester (AD) is on its way! Star Energy Holdings started construction on a new AD facility, located just east of IN-5 on IN-124. The AD facility will process manure from New Dawn Dairy. The manure from more than 2,750 dairy cows will produce approximately 336 MMBTU of renewable natural gas per day, nutrient rich effluent, and soil solids that will be sold through a national retailer. The facility will reduce 5.3 million pounds of CO2 emissions annually for Huntington County. Construction of the facility is scheduled to be completed by May 2019. Being the best kind of neighbor. Star Energy Holdings has always been about the relationship that it can build with you, the community. Star Energy is excited to be bringing this facility to Huntington County and will continue to look for opportunities for growth and expansion in the community. Building community involvement through public tours, local support of the 4-H club and many other programs. 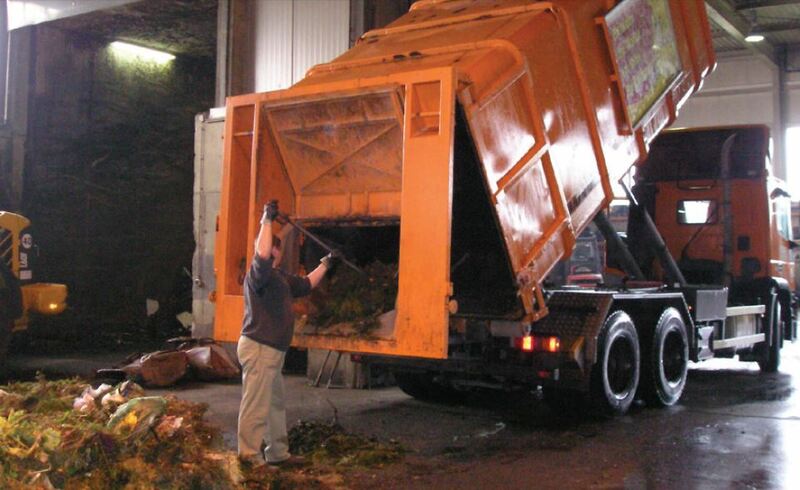 Providing reliable recyclables and by-products that will positively impact the environment and Huntington community. facility to Huntington and plans to expand the facility in the future to accommodate more and growing herds. To learn more about Star Energy Holdings, visit www.SEHLLC.com. Construction has started on the Huntington Anaerobic Digester Project! The Huntington AD project is located southeast of Huntington, Indiana on 70 acres of agricultural land. It is adjacent to a dairy that presently has 2,500 head of lactating milk cows and an additional dairy within approximately three miles with 2,000 head of lactating milk cows. The combined manure will produce approximately 336 MMBTU per day. The Biogas Plant as an advanced AD (plug flow) has processes designed to process dairy cow manure. A plug flow digester is a type of anaerobic digester that uses a long, narrow horizontal tank in which a material (manure) is added at a constant rate and forces other material to move through the tank and be digested. Typically, a plug flow digester vessel is five times longer than it is wide, is insulated and heated, and is made of reinforced concrete, steel, or fiberglass. A gas tight cover traps the biogas which is given off. The biogas is used to heat the digester to the required temperature and run a generator.